Prime property on Ambassador Caffery that DID NOT FLOOD! Large corner lot with 600 feet of frontage on Ambassador Caffery and 3.2 Acres total. 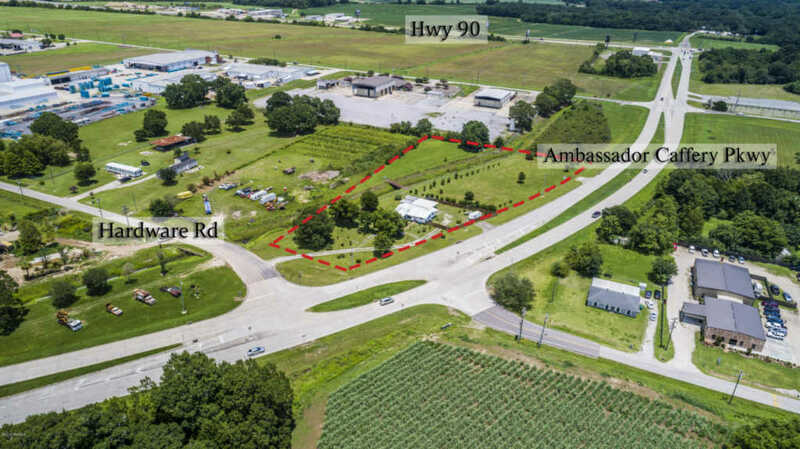 Ideal commercial location only a few miles away from the new Super1 and a few hundred feet away from the new Sam's development on the corner of Highway 90 and Ambassador Caffery. There is a house on the property but that can be moved off of the property.